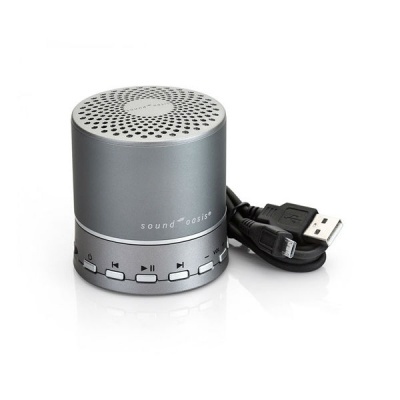 The Sound Oasis BST-100 Portable Bluetooth Tinnitus Relaxer is ideal for relaxing or for reducing the impact of tinnitus. With a choice of ten soothing nature sounds and gradual volume reduction, it can help to reduce stress and provide you with a sounder night's sleep. How Does the Portable Bluetooth Tinnitus Relaxer Work? The sound system emits soothing nature sounds to help you relax either before sleep or during the day when feeling stressed. 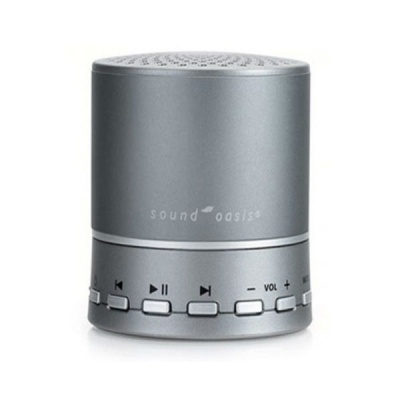 When utilised for relaxing, the Sound Oasis Portable Bluetooth Tinnitus Relaxer emits the desired sound at the volume of your choice to reduce the quietude of your surroundings. This will be useful for anybody suffering from tinnitus as more silent environments can make the sounds of tinnitus seem more prominent. The portability means it is also ideal for use in environments such as hotels where surrounding areas may be noisy. The background noise created by the alarm clock can soothe the mind to reduce stress. The Portable Bluetooth Tinnitus Relaxer features a headphone connection. This means that you will be able to plug in headphones to direct the sound directly to your ears for maximum benefit. This will also be useful if you wish to listen to the Tinnitus Relaxer without disturbing anybody else in the room. The relaxer is recharged via USB, meaning it can be conveniently plugged into either a USB port or mains power supply to ensure it can always be charged and ready for use when you need it.